Taking the next step in its Blueprint for Mobility, Ford today – in conjunction with the University of Michigan and State Farm® – revealed a Ford Fusion Hybrid automated research vehicle that will be used to make progress on future automated driving and other advanced technologies. Call it a car with night vision goggles. Ford engineers working on the company’s autonomous car technology recently succeeded in making a self-driving Ford Fusion lap its Arizona Proving Grounds in complete darkness, using laser radar, or Lidar, as its guide. While Lidar is a standard feature of most self-driving car gadgetry – along with traditional radar and cameras – the test was meant to specifically highlight how an autonomous vehicle might operate in a situation that many humans find nerve-wracking. Most self-driving cars are tested during daylight hours so all of their electronic systems can contribution to the process. As autonomous vehicles creep into our automotive future, the biggest hurdle for automakers won’t be scientific but rather psychological. Hence the Arizona test. “We take any opportunity we can to teach our future (self-driving car) customers about the technology so they can learn to trust it,” says Jim McBride, Ford’s technical lead for autonomous vehicle development. During its recent night drive, the autonomous Ford Fusion drove with no headlights. Instead of using onboard cameras to plot its course again pre-loaded 3D maps, it used data collected by beams of laser light shot out into the desert. On-board computers instantly concluded where the car was in relation to the landscape data provided by those laser scans. 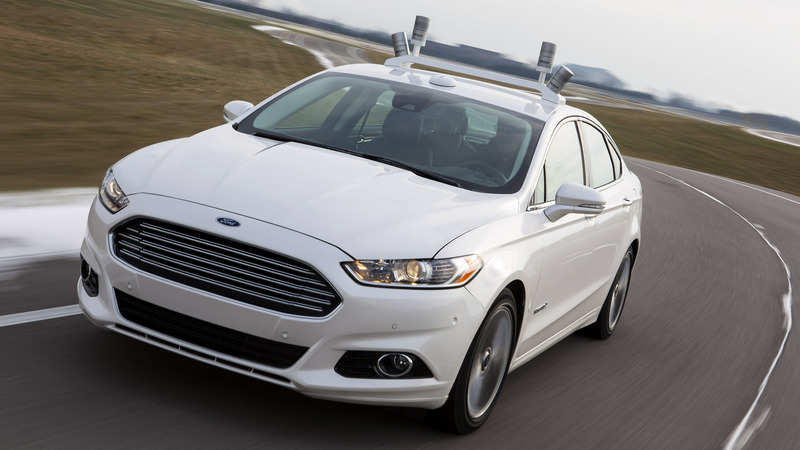 Safety drivers in the Fusion wore military-grade night vision goggles in order to monitor the car’s behavior. A video produced by Ford of the evening training mission used military motifs to describe the action. Ford recently announced it would be tripling the number of autonomous cars it would be testing to 30 this year, some of which will begin driving on California roads. Ford has a Silicon Valley outpost in Palo Alto that will host that region’s cars. Tests are also being conducted at Mcity, a faux city for automotive testing just outside of Ann Arbor, Mich.
Google is also expanding its self-driving car test program. Last week, the company added the Phoenix area to existing test programs in Kirkland, Wash., Austin, Texas and its home base of Mountain View, Calif.
Visintainer says the most critical component of self-driving cars will be a series of technological redundancies that ensure that if one system fails, another is there to back it up. That’s the same principle used for the design of airliners.